#SMWill - S. M. Wilson & Co. #SMWill - S. M. Wilson & Co.
As a staple in the St. Louis metropolitan area since 1921, S. M. Wilson makes every effort to enrich our Community and the communities we work in around the country. 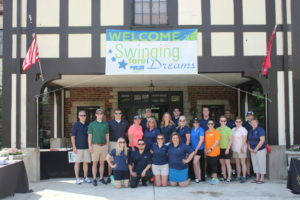 Our employees spend countless hours serving non-profit organizations such as Big Brothers Big Sisters, Habitat for Humanity, Heart of American Foundation, Ready Readers and Shriners Hospitals for Children – St. Louis, to name a few. 1. SERVE – By providing each employee with a paid day for volunteer service. 2. COMMIT – By matching employee for donations to 501(c)(3) charitable organizations. 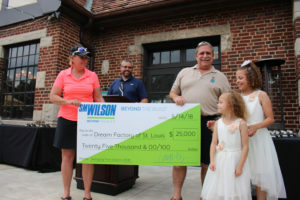 Since 2007, S. M. Wilson has helped raise more than $365,000 for The Dream Factory of Saint Louis through the firm’s annual Swinging Fore Dreams Golf Tournament. Through hard work and dedication, we have granted the dreams of more than 70 children and their families. The Dream Factory of Saint Louis was founded in 1983 — one of 36 non-profit Dream Factory chapters around the country. 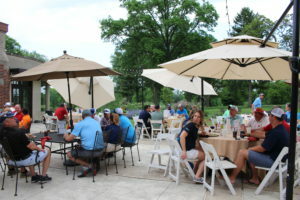 The Saint Louis Chapter continues to brighten the lives of children with serious illnesses. To learn more about the Saint Louis Dream Factory, visit www.stldreams.org or www.facebook.com/dreamfactorystl. We are a builder, so what better way to support the communities we serve than building homes with Habitat for Humanity. 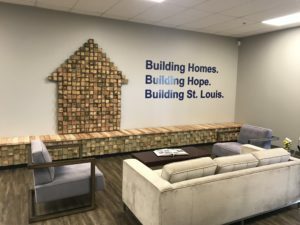 As an avid supporter of Habitat for Humanity (in fact, President Amy Berg is on the St. Louis Board), S. M. Wilson and its employees have helped provide affordable housing to those in need. S. M. Wilson worked on the the Big Chief Home in St. Louis County. This project included the gut renovation of a three bedroom home and addition of a fourth bedroom. Employees donated personal time and funds to renovate and stock the home. 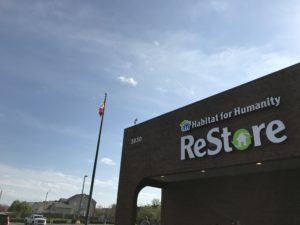 S. M. Wilson also served as the Construction Manager for Habitat for Humanity Saint Louis’ new Headquarters and ReStore project, which converted an empty grocery store into office space, warehouse/fabrication shop and ReStore. 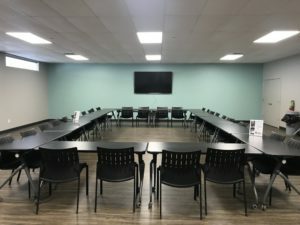 Completion of the project was achieved due to the collaborative effort between the construction crew, architect and generous team of volunteers. The project team solicited $970,000 of donated time and materials including 890 volunteer hours over the course of 62 work days.